Money, power, politics, drugs, scandal, and fast cars. 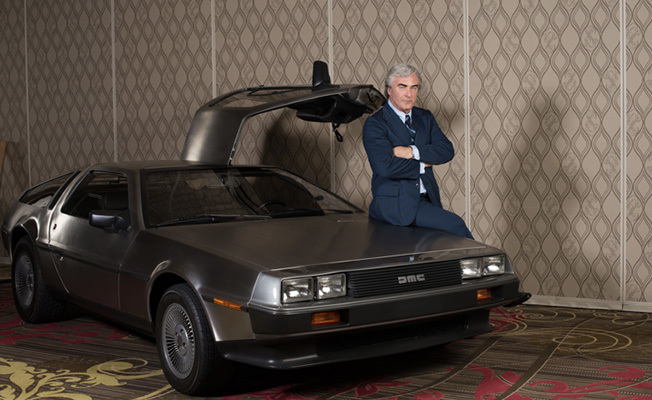 The incredible story of John DeLorean is the stuff of a Hollywood screenwriter’s dreams. But who was the real John DeLorean? To some, he was a renegade visionary who revolutionized the automobile industry. To others, he was the ultimate con man. For the first time, FRAMING JOHN DELOREAN recounts the extraordinary life and legend of the controversial automaker, tracing his meteoric rise through the ranks of General Motors, his obsessive quest to build a sports car that would conquer the world, and his shocking fall from grace on charges of cocaine trafficking. Interweaving a treasure trove of archival footage with dramatic vignettes starring Alec Baldwin as DeLorean, directors Sheena M. Joyce and Don Argott (The Art of the Steal) show a gripping look at a man who gambled everything in his pursuit of the American Dream. Documentarians Argott and Joyce have made films on subjects as diverse as rock bands and nuclear power, the legal theft of priceless art collections and who really created Batman. Having also directed a narrative feature, the team brings a unique and critical perspective to the meta elements at work in creating film scenes that function as a compelling running commentary on the DeLorean story.